View From Canal: View of the north western corner of the Oriel Building seen across the proposed new Oriel Square. The square will unite several major developments and form the focus of a new St Pancras. The main and upper ground floor entrance, a café and other public uses will open onto this public space. View from St Pancras Way looking north with lower ground floor entrance and the entrance to the emergency department. The new building, the existing gatehouse and other Victorian buildings between them will form a landscaped piazza which will also be the southern entry point for the new mixed use development. Interior view of atrium from the south west. The two level ground floor of the building is conceived as a public space. The main lifts and stairs that lead to all parts of the building are gathered in a mini-tower – ‘the Oriel’ – in the middle of the atrium, threading through a stack of waiting, meeting and study. The intention is to maximise chance encounter and mixing between clinicians, researchers, patients, students, managers and visitors to promote collaboration and innovation that are at the heart of the project. 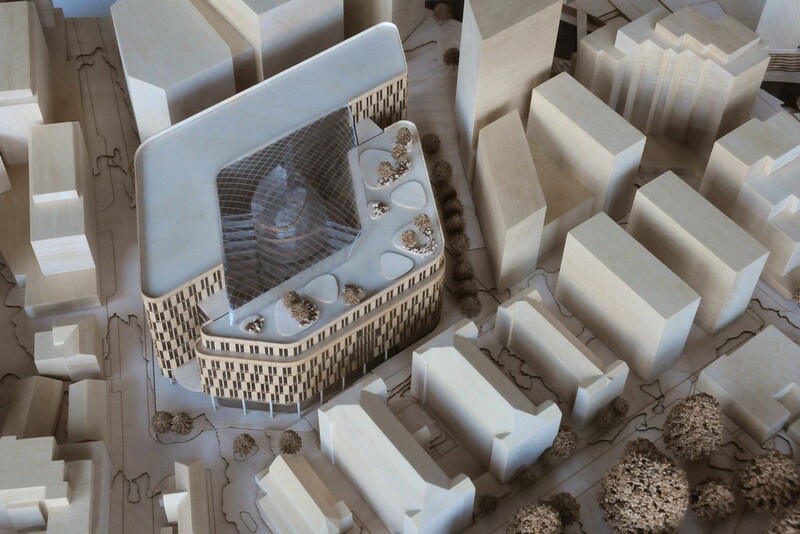 Model view: Ranged on two wings of eight and six stories the building steps from the dense urban grain to the north of the site down to the retained Victorian buildings and the magnificent trees of St Pancras Churchyard to the south. 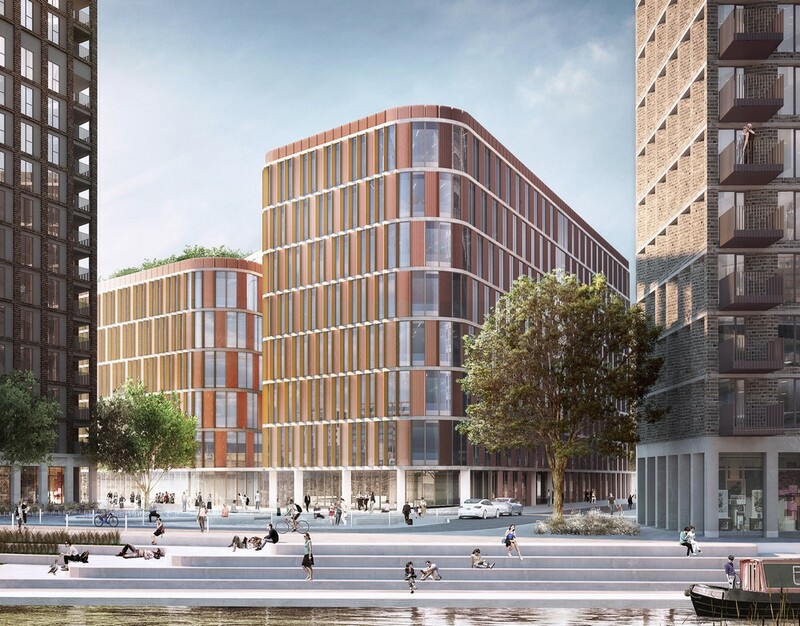 The new campus will draw the greenery of the churchyard through to a new square touching the Regents Canal and connecting to Kings Cross to the east. Penoyre & Prasad and White Arkitekter win this architecture contest to design a major new eye-care, research and educational facility at St Pancras Hospital in Camden, London. The RIBA (Royal Institute of British Architects), Moorfields Eye Hospital NHS Foundation Trust, UCL (University College London) and Moorfields Eye Charity are pleased to announce the winning team in the competition to design a new joint eye care, research and education facility for Moorfields Eye Hospital and UCL Institute of Ophthalmology as AECOM with Penoyre & Prasad and White Arkitekter. “It was a privilege to be on the evaluation panel of the five shortlisted design teams for Oriel. The quality of all entries was extremely high. AECOM’s award-winning team was selected due to their exemplary innovation and creativity, outstanding design quality, and previous experience in delivering health, research and education facilities across the UK. 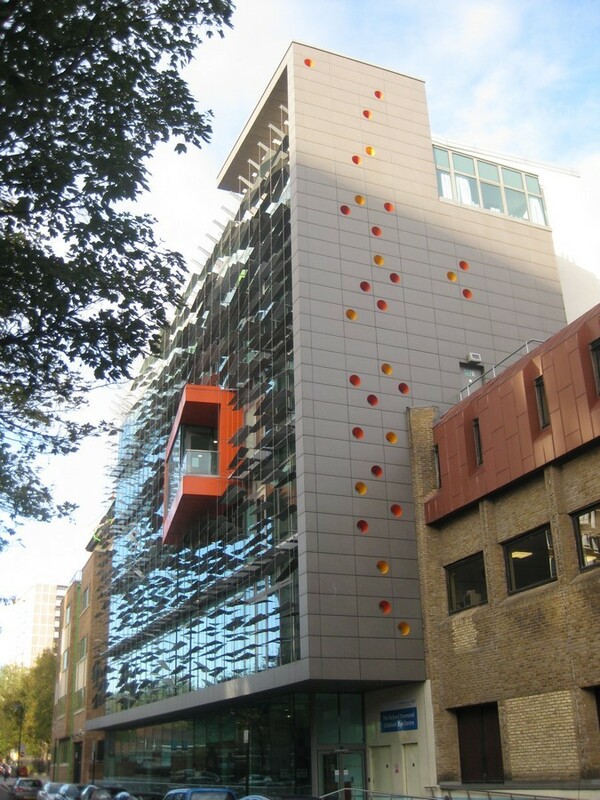 It has been a huge few months for this innovative and exciting project, with Moorfields recently securing a substancial amount of funding for Oriel from the Department of Health and Social Care. “AECOM is excited to be leading this experienced team of architects, engineers and specialists, who have a collective track record of delivering high-quality healthcare environments across the world. Together with Penoyre & Prasad and White Arkitekter we will work with the joint partners, patients and staff to design a world-class facility that will help shape the future of eye care, research and education. The AECOM-led team will now work closely with the project team to co-design this proposed new facility. Staff and patients will both have opportunity in the coming months to input on essential design elements of the new facility. This work will inform the project’s upcoming Outline Business Case. 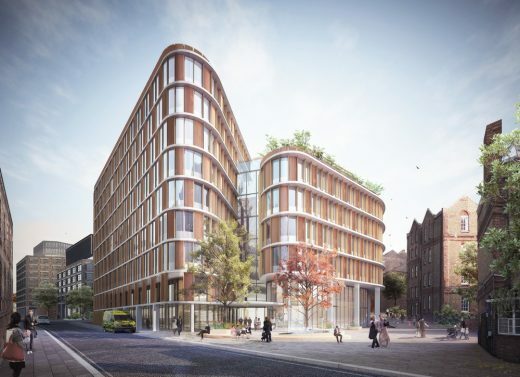 Oriel is a joint proposal from Moorfields Eye Hospital, UCL and Moorfields Eye Charity to relocate all services from Moorfields Eye Hospital on City Road and the UCL Institute of Ophthalmology on Bath Street to new, purpose built facility at a preferred site at St Pancras Hospital. This new facility could bring together clinical care, research and education expertise in one flexible, fully integrated facility, while being focused on patients, and attracting and retaining the best clinicians, scientists and educators. In 2019, Camden CCG will lead a public consultation on the relocation of NHS services from Moorfields Eye Hospital to the proposed new site, so that patients, residents and staff will have an opportunity to have their say on the proposal. If approved, the new facility could be open to patients in 2025/26. 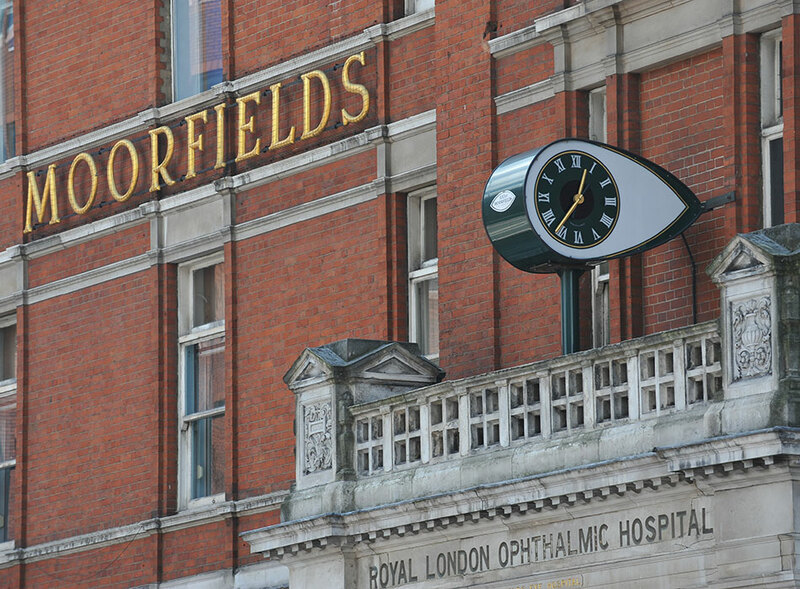 In December, Moorfields announced that it has successfully bid for government funding to support Oriel. Moorfields has managed to secure nearly £20 million of funding as part of the Department of Health and Social Care’s major investment in the long-term future of the NHS. RIBA launched this competition in June 2018, encouraging architect and design teams from around the world to apply. In August 2018, five shortlisted teams were announced. These teams produced preliminary designs, which were presented to stakeholders, staff and patients at a series of exhibitions. An evaluation panel comprising 12 representatives from Moorfields, UCL, Moorfields Eye Charity and RIBA selected AECOM, White Arkitekter AB + Penoyre & Prasad as the winning team based on set criteria. Oriel is a proposal from Moorfields Eye Hospital, UCL and Moorfields eye Charity to design, build and operate a new, purpose-built centre of excellence for eye care, research and education. Moorfields’ vision for Oriel is to create an environment for innovation to flourish, inspiring improvements in people’s sight. 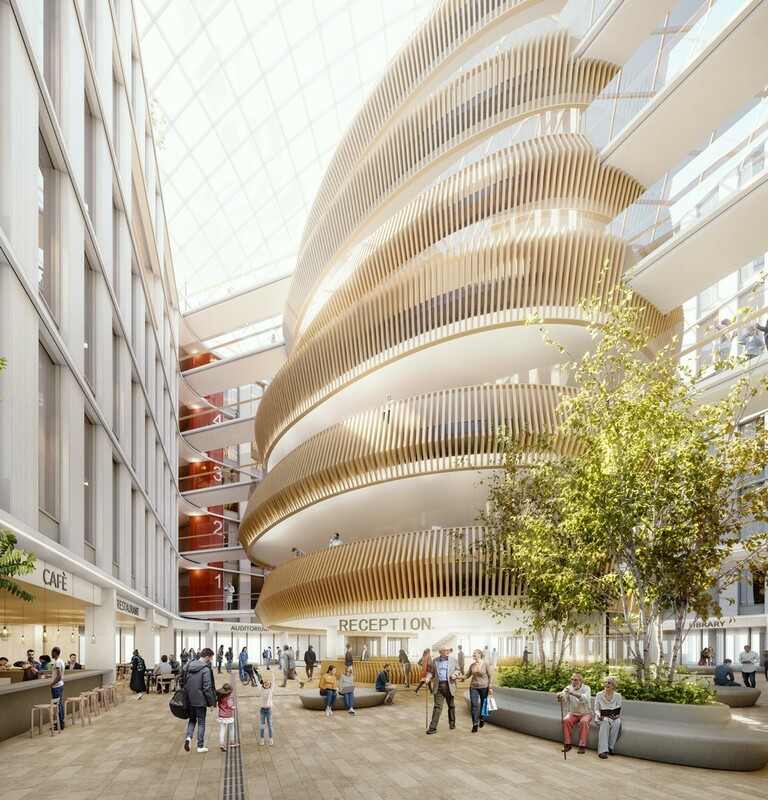 The new facility will be flexible and modern, enabling Moorfields to bring together healthcare, eye research and education for the first time. The new centre would also be nearby other important health and research institutes such as UCLH, Great Ormond Street Hospital, UCL and the new Francis Crick Institute, making Oriel part of an emerging scientific hub.